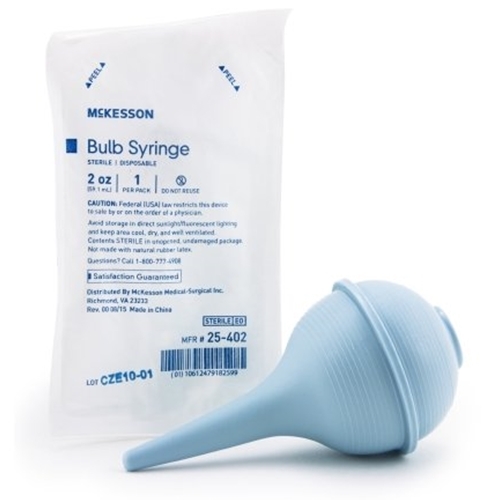 McKesson Bulb Syringe from HealthyKin.com can be used for any aspiration or irrigation procedure. The pronounced ribs provide a secure grip for more accurate volume control. Gets stuck when trying to suction. Adhesive on bulbs came off after a few uses. Definitely not hospital grade.